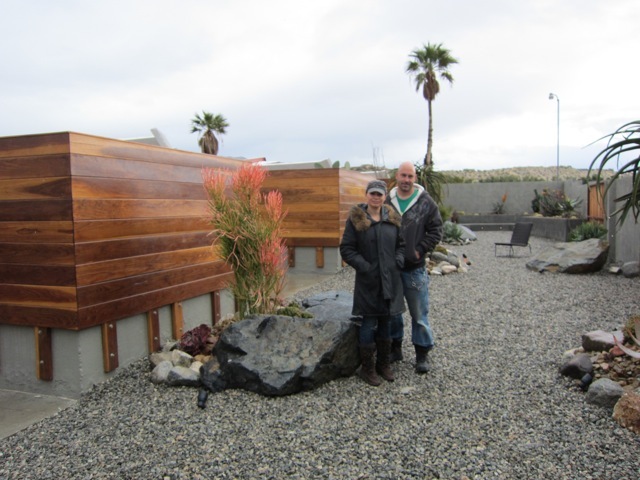 On March 4, 2011, Tracy Beckmann and Ryan Trowbridge welcomed guests to the newly renovated Desert Hot Springs Motel, designed by John Lautner in 1947. 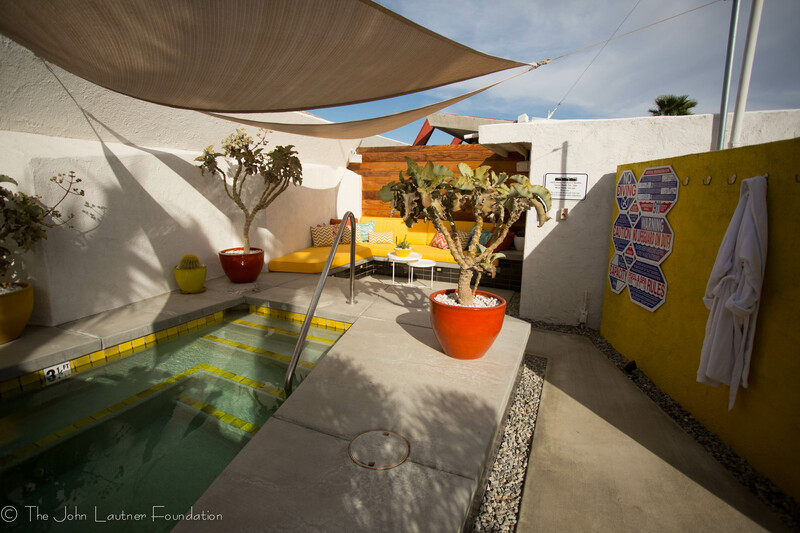 The motel is now surrounded by a protective wall and includes a small relaxation pool at the rear. Inside the wall is desert planting similar to that inside each unit. Just three of the four units are available right now. The owners have had to contend with torrential rains that flooded all of the units,which set back their plans. New drains have been installed and the ground elevation modified to avoid any further flooding. For more information visit the hotel’s website. 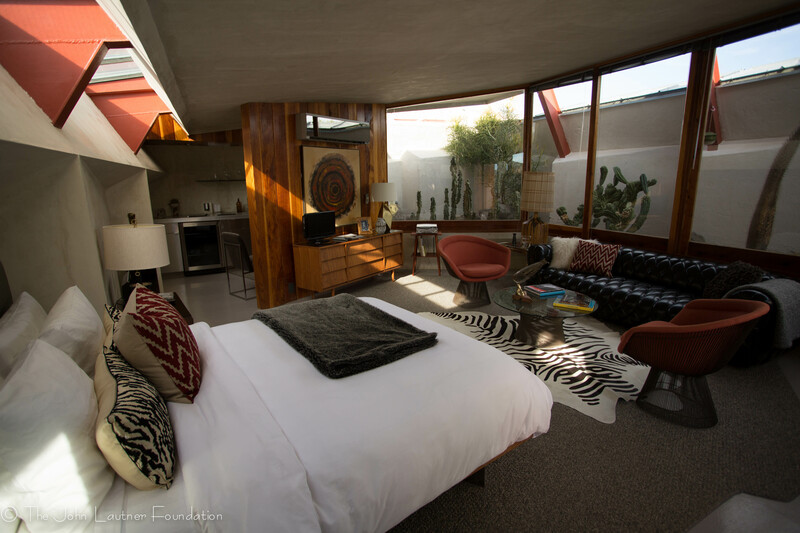 Tracy Beckmann, interior designer, is realizing a dream from years ago, when she first saw the Sheats-Goldstein residence in Los Angeles. 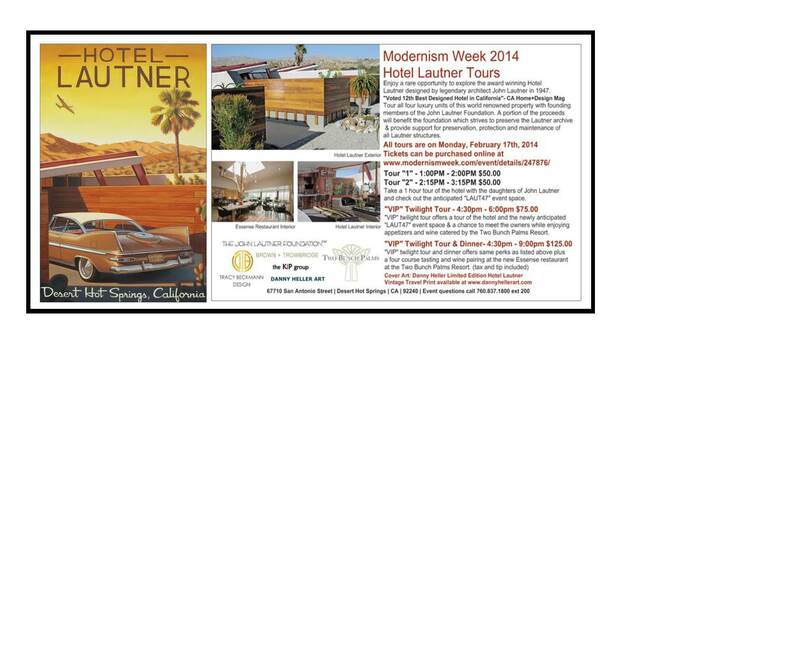 She promised herself at that time that she would one day own a Lautner building. And now she does. 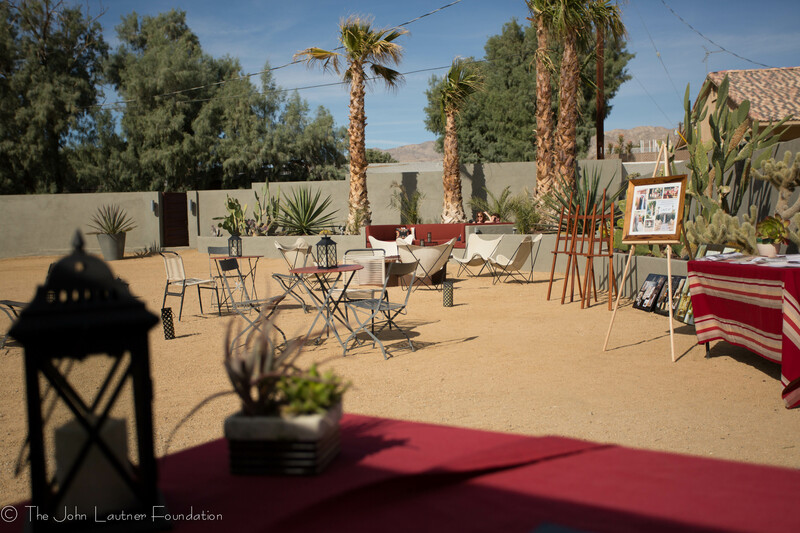 After a lengthy escrow she finally took possession of the Desert Hot Springs Motel, previously owned by Steve Lowe, who died unexpectedly in 2007. The four-unit motel was designed for Hollywood film producer Lucien Hubbard and completed in 1947. Original plans for the motel included pools and additional four-unit buildings. The pools were built but later torn down. The additional units were never built. Eventually the motel was sold and converted to apartments. It was sold in 2000 to Steve Lowe, who then returned it to its original use, outfitting the rooms with clean period furniture. 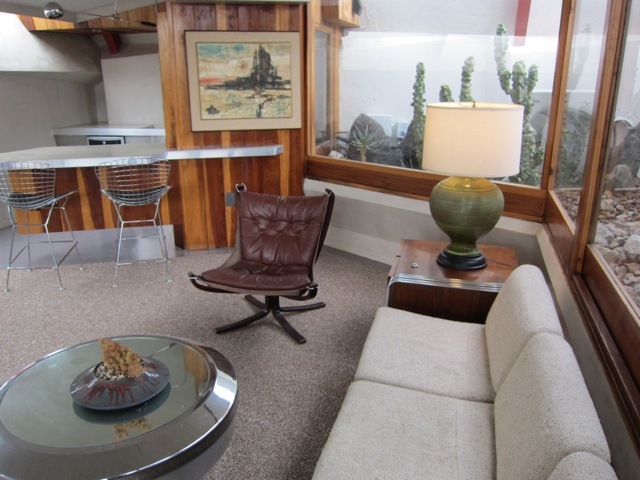 The motel became a destination point for many architectural fans as well as a retreat for the weary and the recently married. 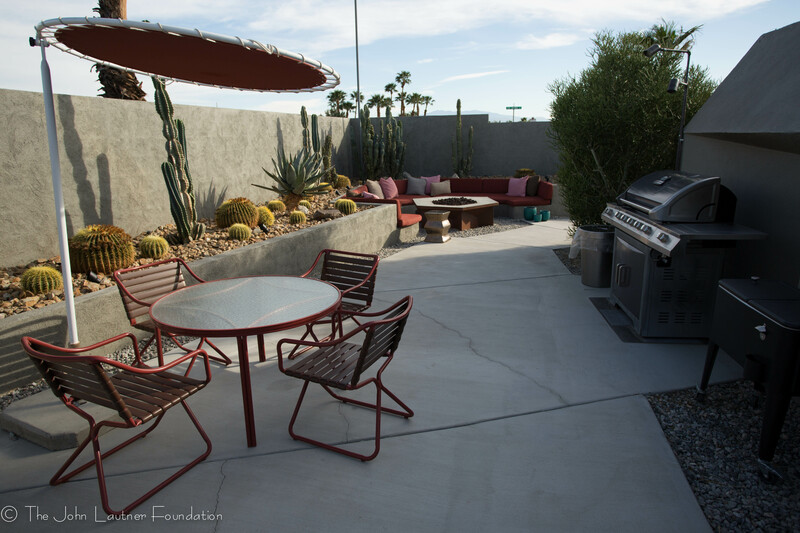 The rooms provide protection from the elements yet a connection to the beauty, light, and air outside. Tracy and her partner, Ryan Trowbridge, who designs and builds furniture, have some ambitious plans for the motel. They plan to renovate baths and kitchens, neither of which have much of the original in them, replace the air conditioners that were installed inside the private gardens when the units were converted to apartments, and possibly replace the framed windows with frameless glass. On property next door to the motel they plan to add pools as well as a small reception building for management and visitors. To protect the motel and its users from the elements and unwanted intruders, they want to build a wall around the entire site, creating a “compound”. The wall would be of the same design as the angular wall that now exists. Tracy and Ryan are interested in restoration as well as renovation. They are looking for clues to the original colors of the building (and especially of the steel supports, painted orange by Steve Lowe) and are researching other details that they would like to restore. One important detail is the removal of the residence immediately adjacent to and behind the motel. This residence was constructed a few years ago and looms above the low-lying motel, an unwanted presence that Steve Lowe unsuccessfully tried to prevent. Tracy and Ryan expect to live in the house while renovating the motel, after which they will remove the house from the site. 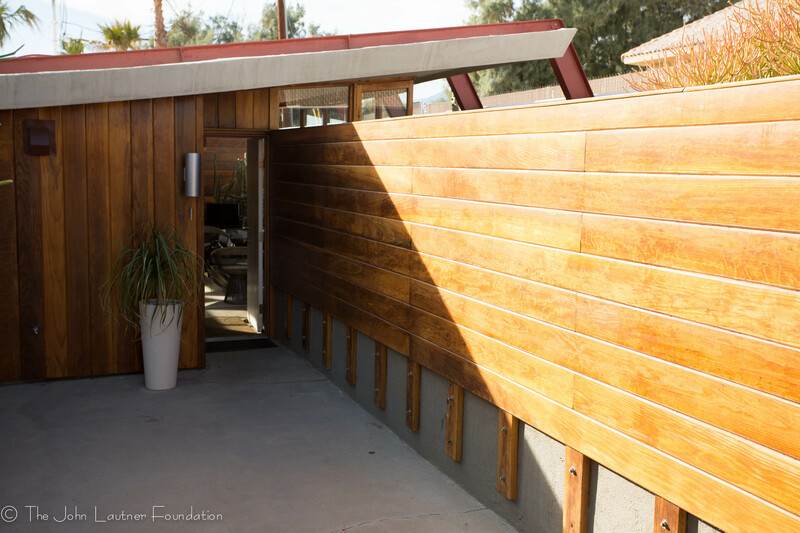 The John Lautner Foundation will stay in touch with the new owners and offer assistance and guidance when requested. 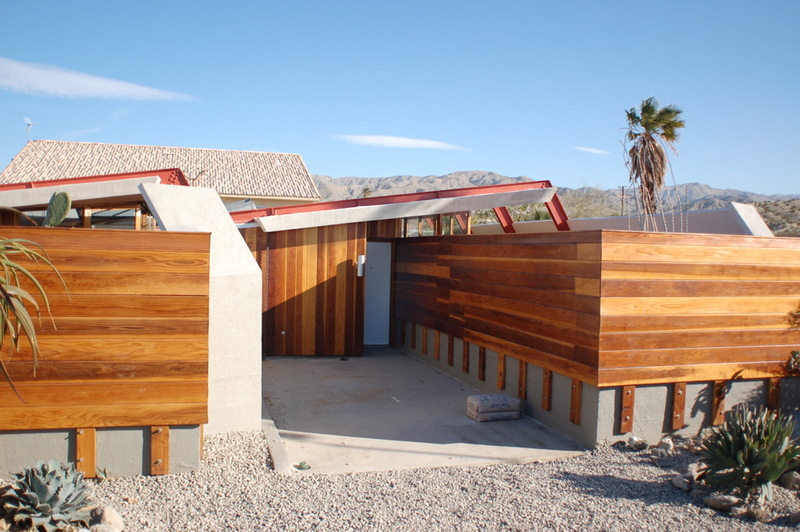 Tracy plans to reopen the motel in 2010, coinciding with the opening of the Hammer exhibit on John Lautner at the Palm Springs Desert Museum. More information on this motel renovation will be published here as plans develop.